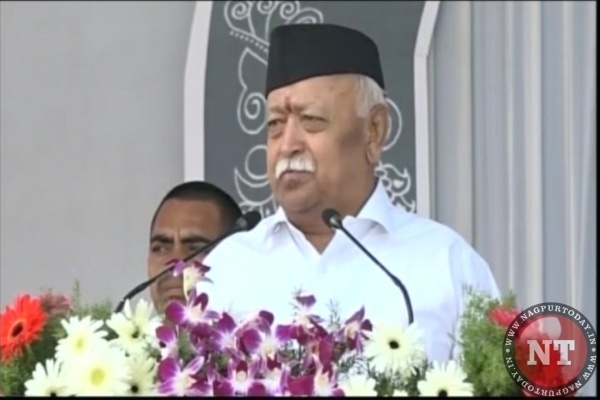 “The temple should have been built by now, but political parties are doing politics over it,” Mohan Bhagwat says during his Vijayadashami speech in Nagpur. “Ram is our lord and his path still guides us,” Mohan Bhagwat says while talking about the stand on Ram temple in Ayodhya. He saysthat Lord Ram is the Gauravpurush and that Babur was an enemy who made everyone suffer. “Babur demolished Ram mandir to trounce our self-respect,” he says. “Foundations of the temple have been unearthed, but the case is getting delayed,” the RSS chief said. RSS chief Mohan Bhagwat says that an ordinance should be brought in by the government for building the Ram temple. “People are questioning why the temple is not being built, despite their chosen government being in power,” he said.